New York: Doubleday, Doran & Company, Inc., 1936. ￥16,000 (税込み) 32 x 22.5 cm. First edition. 55 pp., with many color & b/w illustrations. 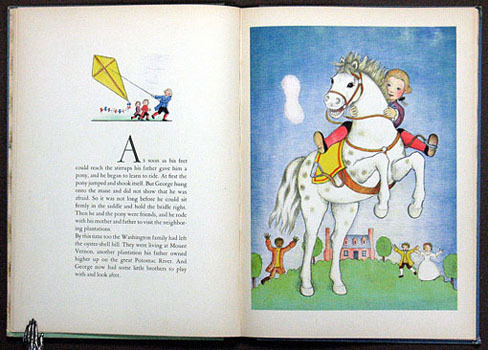 Original pictorial boards with cloth spine, pictorial endpapers, covers very slightly browned, internally very clean.